The Greek food obsession is SO real when it comes to my date nights. My boyfriend and I love our Greek food, and although we don't like to stray from our favourite (Taverna Greek Psistaria) we don't mind trying out new places either. I'd heard about Estia from one of the girls at work so we decided to give it a go. We usually like ordering a salad and a mix of grilled meats at Greek restaurants which we always end up comparing to our favourite. 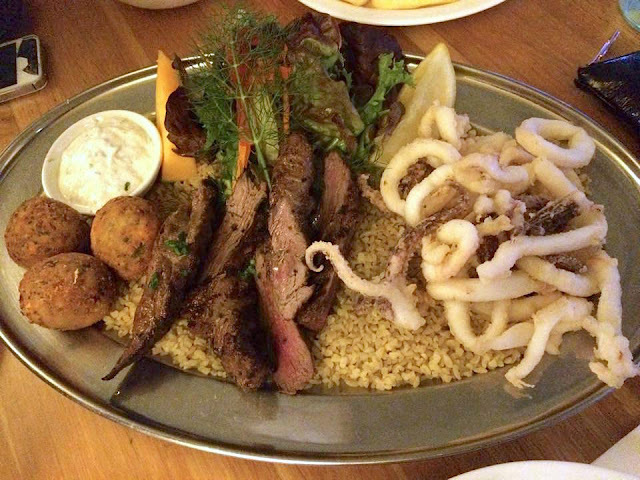 At Estia, they recommend sharing smaller dishes called mezedakia, so we ordered a few which were served on lemon pilaf with a salad. 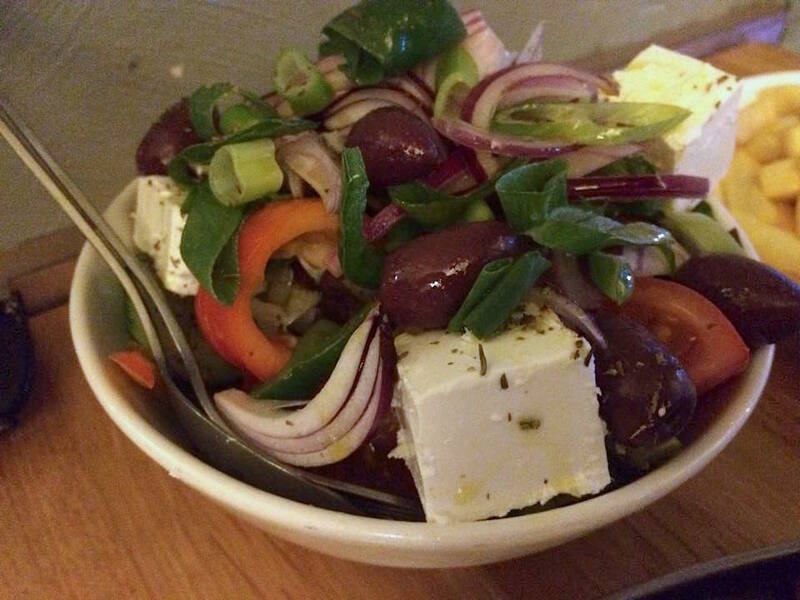 A solid Greek salad, though neither one of us were very keen on the spring onions. My favourite of the three was the grilled lamb which I thought was cooked and seasoned perfectly. The rest of the food was okay but nothing special. I must say, our favourite Greek still remains at Taverna. If anyone has any recommendations for good Greek food, please let me know! I've also tried out Kefi which is also fantastic but I prefer Taverna because it's not even 10 minutes away from home.